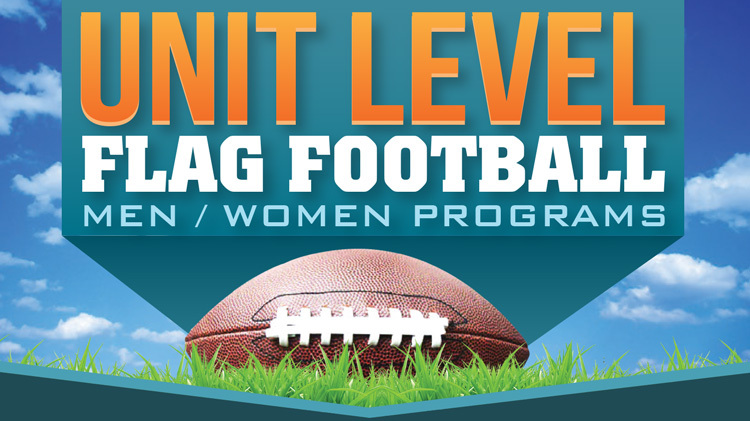 Unit-Level Flag Football is part of the Army Sports Program, whereas Units formulate their teams to compete against other Units on the installation for the right to play for a Post Championship. The intent for this league is to have maximum participation. Units receive Commanders Cup Points for participation and for how well they perform in the end of season playoffs. Units will use Unit-Level play to assist in the determination of their Battalion Teams for play in the Battalion Level season. This League is for Active Duty Military Only with the exception of those units that are less than 100 members strong, then they will be allowed to have DA/DoD Civilians that are attached to that unit participate. Men's, Women's and Morning Leagues Offered. Teams must have a signed, by their Commanding Officer, Memorandum of Intent to Play.